This was too cool not to share, even if it was just a part of the April fools shenanigans. This 'new' subcompact truck comes with 1.5l 4 cylinder providing 103hp and 112lb-ft of torque. 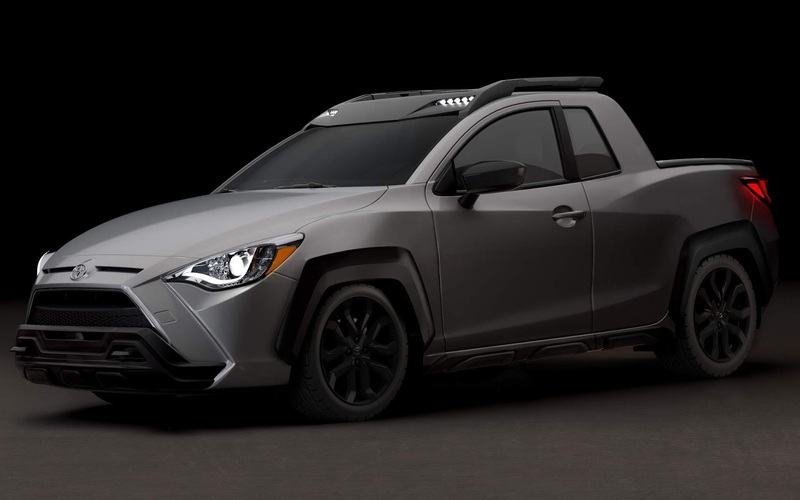 While I know Toyota isn't serious about developing something like this, maybe they should be. Can't help but think something following in the footsteps of the Subaru Brat could do quite well in todays market. Its sad that Toyota puts more creativity and effort into a fake rendering than they've been doing with the latest generation of production models. With Ford bringing a compact, car based pickup to market, that may be the start of a new sub segment. Even this rendering was hard to believe. At least try with something more believable. At least do this with the CH-R, done to the effect of the Subaru Baja. That I would believe and actually want if it happened. Believable? Its an April fools day joke, not a preview of anything that they plan on actually building. Its a neat design nonetheless and running on a more capable platform, they could be on to something with it. If Fords Focus based pickup ends up being a success, you can bet that other manufacturers will follow suit. Though the capability of these trucks will be limited, there is definitely a gap in the segment for more compact options.